IO Interactive has announced Hitman HD Enhanced Collection, which will bring Hitman: Blood Money and Hitman: Absolution to the PlayStation 4 and Xbox One. This announcement packs another surprise, too. The collection will release on January 11, 2019. IO revealed the news on Hitman’s official Twitter page, briefly outlining what fans should expect from these two adventures from Agent 47’s past. Blood Money and Absolution will receive 4K support, run at 60 FPS, feature improved lighting, and have updated controls. Whether the updated controls will be in line with those featured in the recently released Hitman 2 remains to be seen. Also currently unknown is the collection’s price. Hitman: Blood Money hit store shelves early in 2006 for the PlayStation 2, PC, Xbox, and Xbox 360. It remains one of the series’ highest rated installments and is loved by fans. Hitman: Absolution launched for the PlayStation 3, PC, and Xbox 360 in the fall of 2012. While it also has high ratings, many fans consider it a series low. This entry in the long-running stealth franchise was seemingly meant to appease a wider audience. 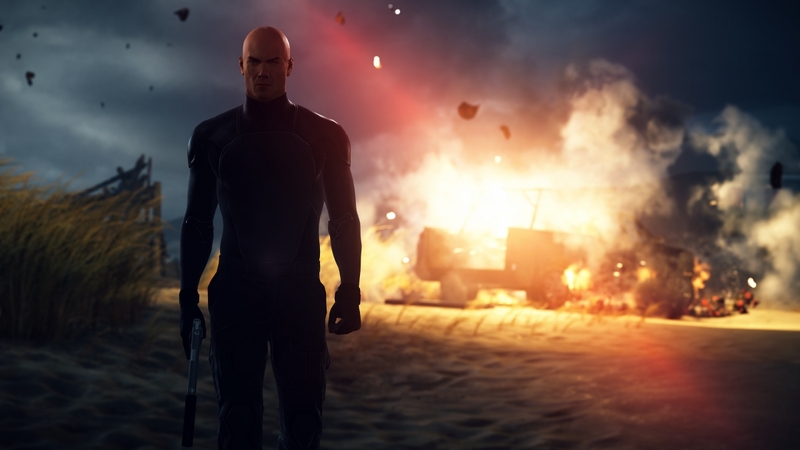 Thus, the challenge of Hitman was apparently sidelined, as the open-ended approach to gameplay and myriad stealth options felt limited, especially when compared to Blood Money.